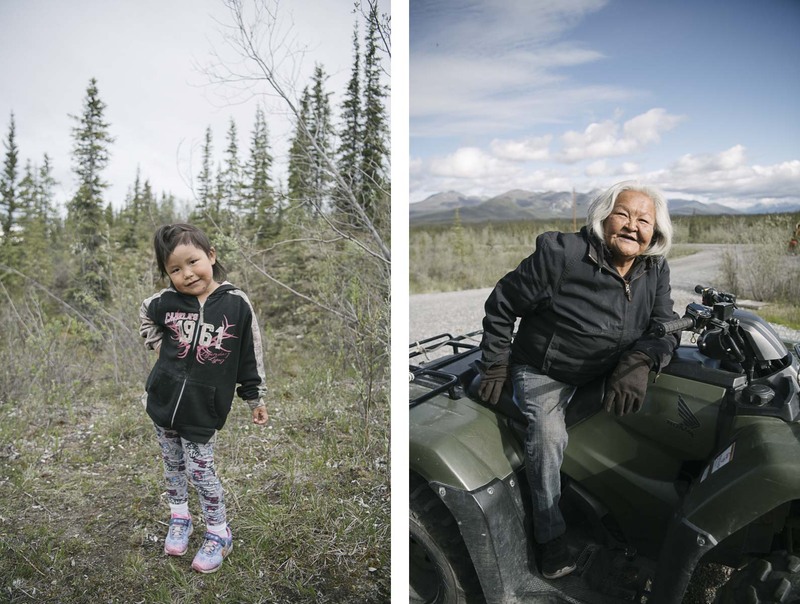 Left: Elssie Tritt has grown up in Arctic Village and has only known a life where the caribou are integral. She takes a momentary break from romping about the taiga, then resumes chasing her brother around the village. Right: Bertha Ross laughs heartily atop her four-wheeler as she ferries supplies from Arctic Village's tiny airstrip. Out here, her voice carries across the tundra.